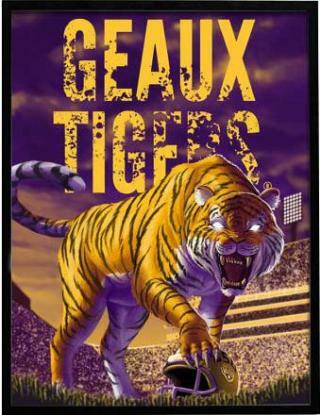 Being a true LSU Tigers fan is a lot of work! With Bye week getting close it’s time for you to take some time with friends and family to say ‘Hello’ to Florida’s Space coast. Kick off your day watching an amazing sunrise on the beach. After you have soaked in the beauty, you and your friends should head to the Westgate Cocoa Beach Pier for the best libations with a view. No trip to Florida’s Space Coast complete without a trip to Kennedy Space Center Visitor Complex- A little east of the most popular Orlando attractions and theme parks, NASA&apos;s launch headquarters is the only place on Earth where you can view the Shuttle Atlantis, tour launch areas, meet a veteran astronaut, see giant rockets, train in spaceflight simulators, and even view a live rocket launch. After Kennedy Space Center run an audible to Brevard Zoo or the Historic downtown Areas. At the Brevard zoo you can kayak through Africa or zipline on the Treetop Trek through South America, over gators and crocs. Adventure around animal exhibits, see the animal residents up-close and personal. Let a giraffe eat right from your hand, pet a rhino, touch a baby gator, or have colorful lorikeet birds land on your arms. The Historic Downtown Area boasts several historic downtown areas located in Titusville, Cocoa, Cocoa Beach, Eau Gallie and Melbourne. All of these districts are great destinations for dining, shopping, catching a play, perusing an art gallery or just taking an afternoon stroll. These hearts of their prospective cities also host free events regularly. Now it is time to tailgate the sunset. Florida’s Space Coast is the only coastal choice with 72 miles of accessible ocean beaches; space-age attractions so there won’t be a lack of great dining options. If you are a true Tigers fan, make sure to be a fan of yourself. Take a bye week and say Hello to Space Coast!